Before running the commands shown on this page, you should load the Bitnami stack environment by executing the installdir/use_APPNAME script (Linux and MacOS) or by clicking the shortcut in the Start Menu under “Start -> Bitnami APPNAME Stack -> Application console” (Windows). On OS X VMs, the installation directory is /opt/bitnami and OS X VM users can click the “Open Terminal” button to run commands. Learn more about the Bitnami stack environment and about OS X VMs. There are different ways to check if mod_pagespeed for Apache is already configured and running. The module will be located at installdir/apache2/modules/mod_pagespeed_ap24.so. 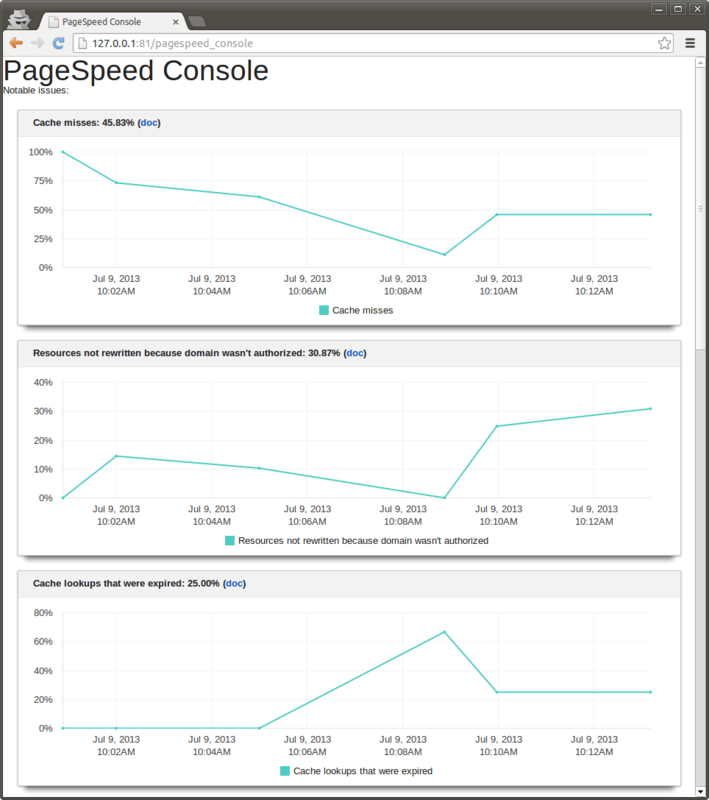 Make similar changes for the /pagespeed_console and /mod_pagespeed_message sections. On some versions, this is also called /mod_pagespeed_statistics. TIP: Alternatively, check PageSpeed statistics using an SSH tunnel.